Summer is just around the corner and families will be hitting the beach for a summer vacation. For many of us, we don't take our bicycles along with us and prefer to just rent them at the beach. 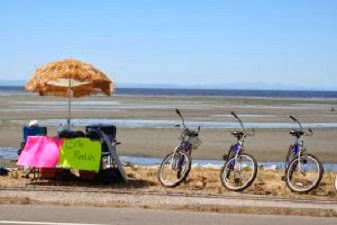 Renting them saves you the hassle of transporting them with you and usually you can find beach bike rentals at a decent price. 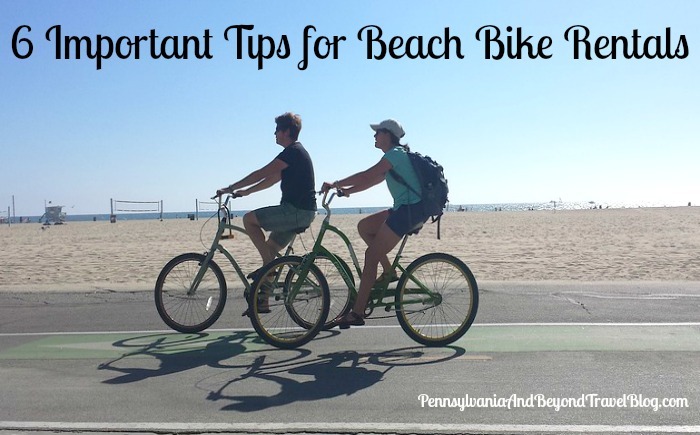 Before renting any beach bikes there are a few important things you need to consider before signing up on the dotted line. 1. Payment – It is recommended that you use cash for your bike rentals. If you have to use a debit or credit card, make sure you obtain a receipt. 2. Maintenance History - When you arrive at the shop, ask the shop owner or employees about the maintenance of the bikes. When were these bikes last inspected? Are the brakes in working order and are the tires fully inflated? You want to make sure that any bikes that you rent are in perfect working order before taking them out for a spin. 3. Insurance and Liability – Are the bicycles covered under the shop’s insurance policy if you should have an accident while riding? If not, who is liable for accidents and any damaged caused to the bicycle or the person riding it? 4. Late Fees – Most shops rent their bicycles out to people by the hour and the user must return the bike before a specified time. If you are late in returning it, what kind of fees will you be responsible for? 5. Cleanliness – Most bicycles are not cleaned from one user to the next. We recommend that you take a pack of disinfectant wipes along with you when renting a bike. Wipe down the seat and handle bars before you leave the shop for your ride. 6. Safety Rules – Before leaving for your ride, go over all riding safety rules with every member of your family. Make sure they all understand the rules and what you expect from them while out on your ride. Riding bikes with your family while on vacation is a great way to get some physical exercise and to spend some quality family time together. We hope those 6 tips help you have a safe and enjoyable ride while at the beach!